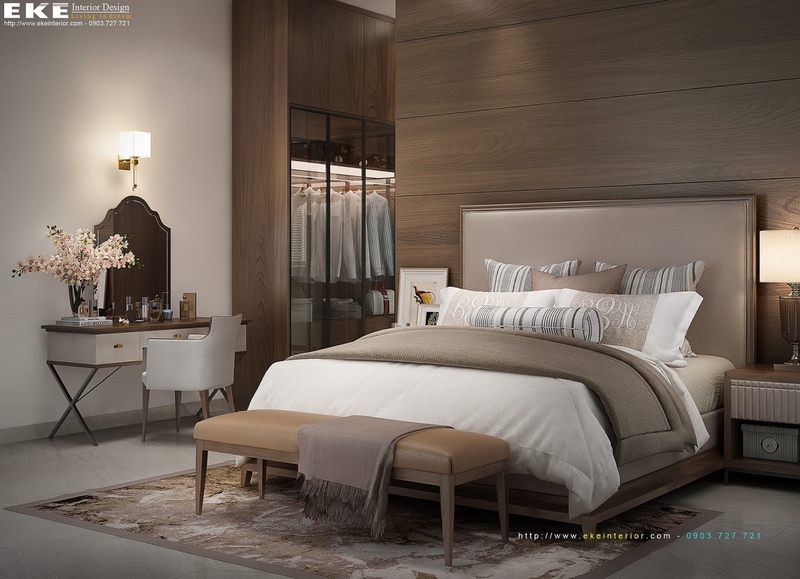 Have you been searching for bedroom ideas that look casual but feel luxurious? 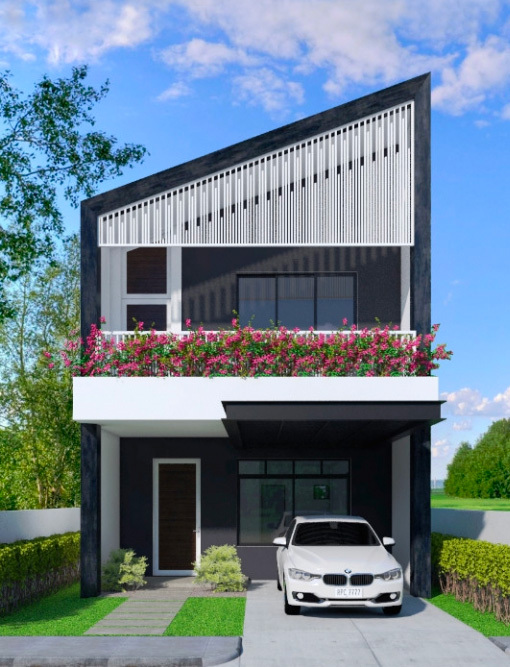 These designs by Eke Interiors are sure to inspire. 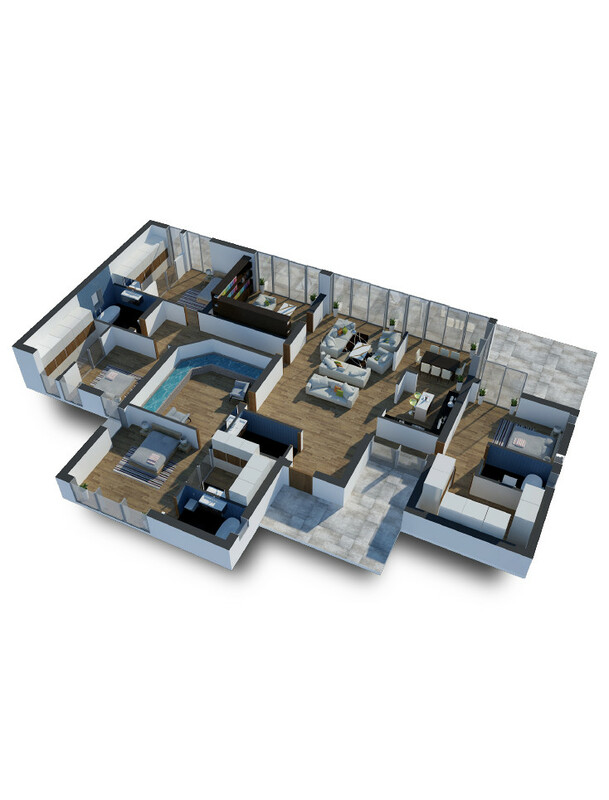 Rather than stealing the show with decor alone, these spaces put an emphasis on unique furniture choices and creative layouts. 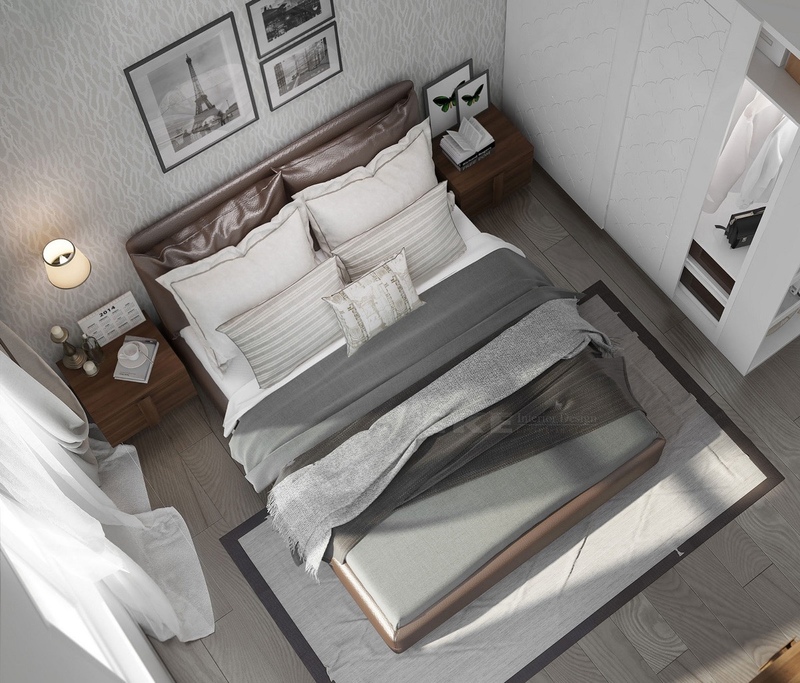 You might notice a few similar themes throughout this feature but every bedroom takes its own unique approach to space constraints, color palettes, material choices, and more. 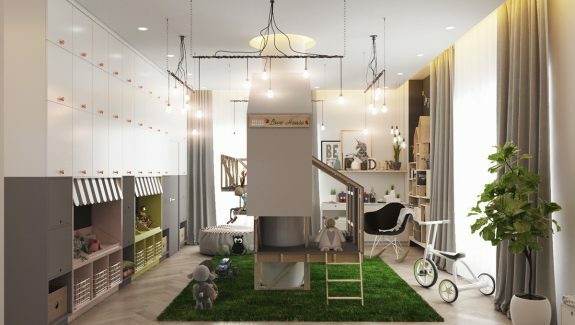 Keep an eye out for ideas you can use – there are even a few examples for kids bedrooms! When renovation season rolls around, you'll be ready to give your bedroom a style that really fits. 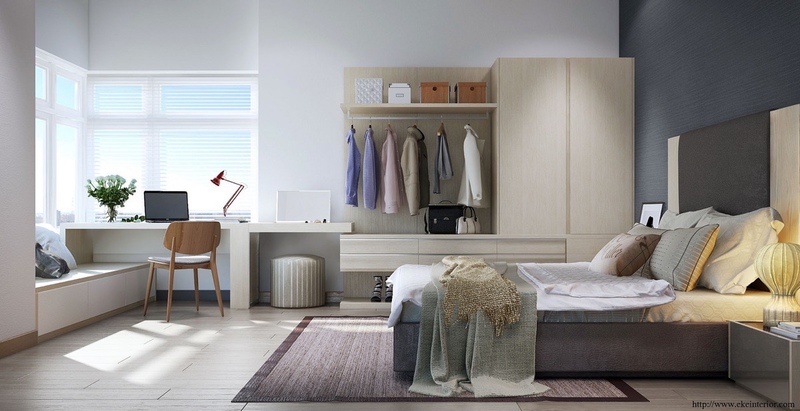 If you’re looking for a compromise between built-in and freestanding storage, check out this elegant wardrobe complete with patterned sliding doors. The dainty lamps and bold red chandelier are adorable. Slatted doors give this wardrobe a classic attitude to match the rest of the well-appointed bedroom. A pale yellow side table pops out from the floral headboard wall. The purple on the bedding and the vanity stool work well with the yellow accents in the room. This approach, tempered with just a dash of green and blue, definitely seems to take inspiration from fresh fields of flowers. 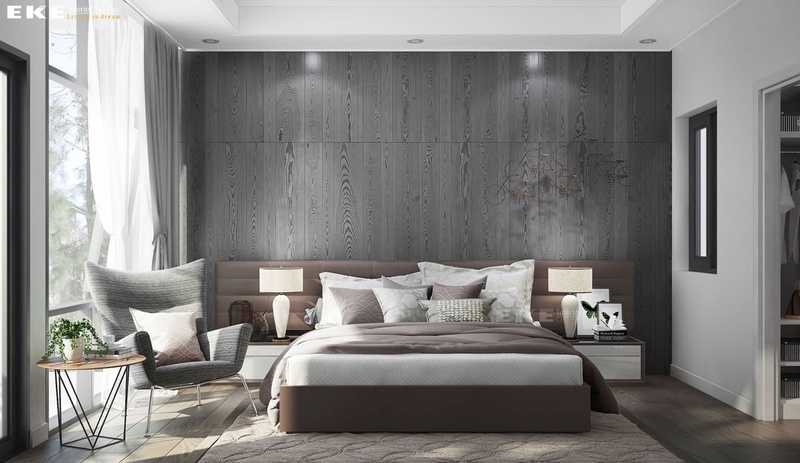 While wood walls normally give off that rustic or retro look, these grey panels are perfect for a modern space like this one. The bedroom chair you see here is the Wing Chair by Hans Wegner. With deep dimples and dramatic lighting, this wall texture absolutely exudes luxury. Both the standing wardrobe and vanity table demonstrate unique ultra-modern styles. 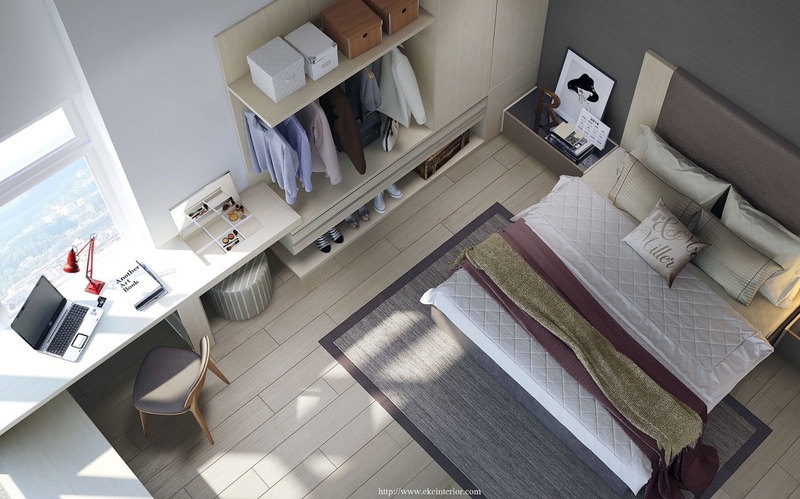 Murphy beds are a great way to save space, especially in studio apartments. This one transforms into a sofa with attractive shelving above. Cozy and conventional, with one dramatic statement piece to serve as a focal point: the iconic Jieldé lamp in fire engine red. 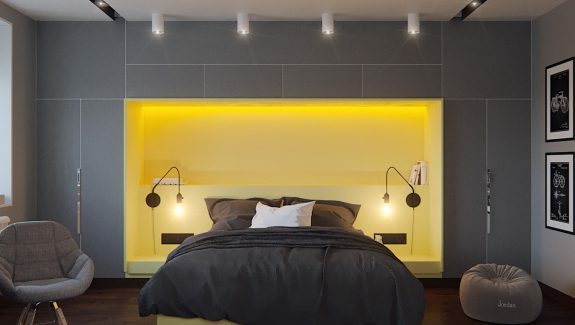 Storage, color, and layering are all perfectly on-point in this last bedroom. 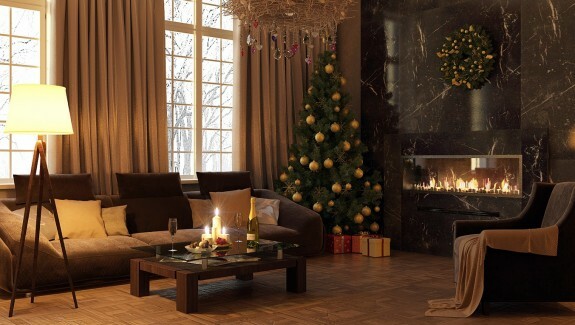 The subdued wood elements add a sense of warmth necessary in any neutral space. Drawers double as seating, while the writing desk flips up to reveal a hidden vanity mirror. 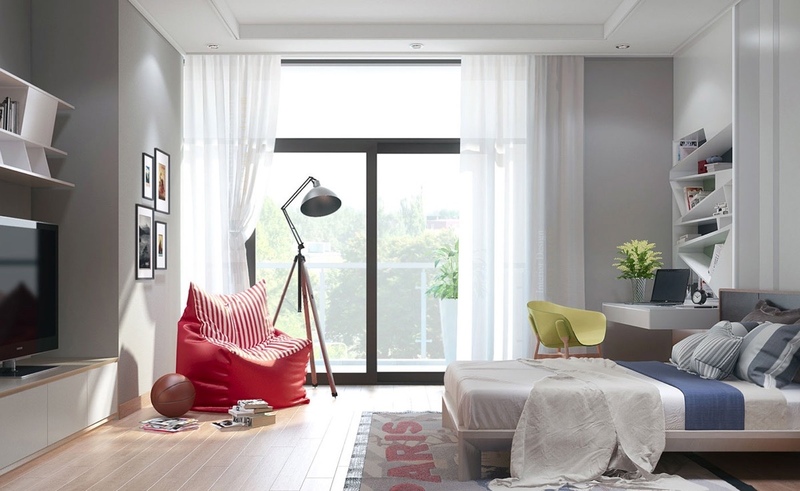 This room saves tons of space with multipurpose furniture. Here, the storage unit makes all the difference. Coats hang beneath the open shelf with plenty of room for shirts in the wardrobe beside it. Moving leftward, the furniture transitions into a desk and window bench. This is another view of the same bedroom, this time showing the contents of the hidden makeup drawer and the little pouf stowed away beneath. There’s a place for just about everything. Smooth neutrals focus the mind while little pops of color inspire creative work at the desk. 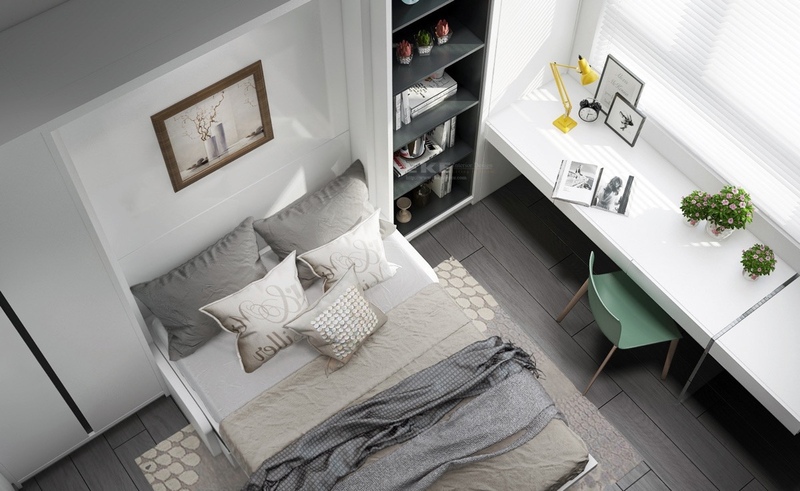 The bed folds up between the cabinets to save floor space in this compact white bedroom. Corduroy pillows are a smart complement for this smooth wooden bedframe. It gives a hint of retro charm to complement the other vintage-inspired additions, like the rounded bedside table. Leather headboards lend any bedroom an immediate sense of classic luxury! Exotic wood sideboards and tastefully printed wallpaper complete the look. Soothing blue wallpaper and dramatic red accents show the casual and comfortable side of eclectic design. Boxy bedside drawers transition to a vanity and handsome study desk. What a fun space! The oversized beanbag chair and playfully slanted shelves embrace youthful energy. The cantilever desk reduces the amount of shadow in the corner for a brighter look overall. 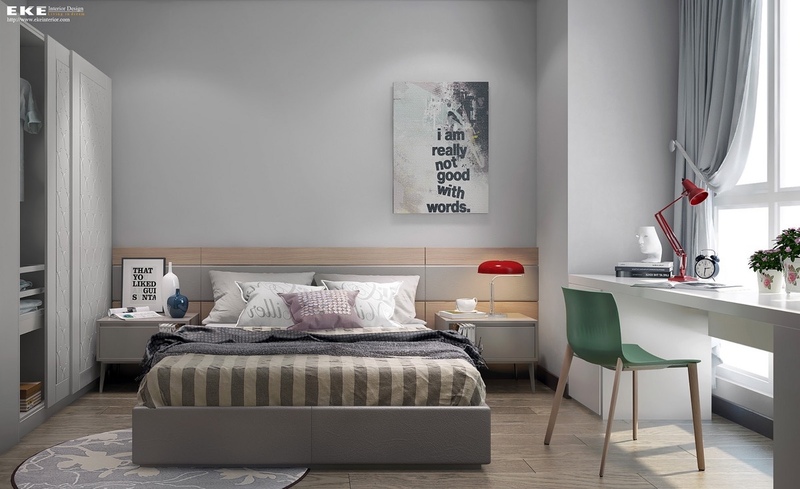 Typography is an easy and attractive bedroom theme. Anyone with a good eye for composition can create their own decor with a good printer or a few stencils. Even book pages hold inherent beauty. 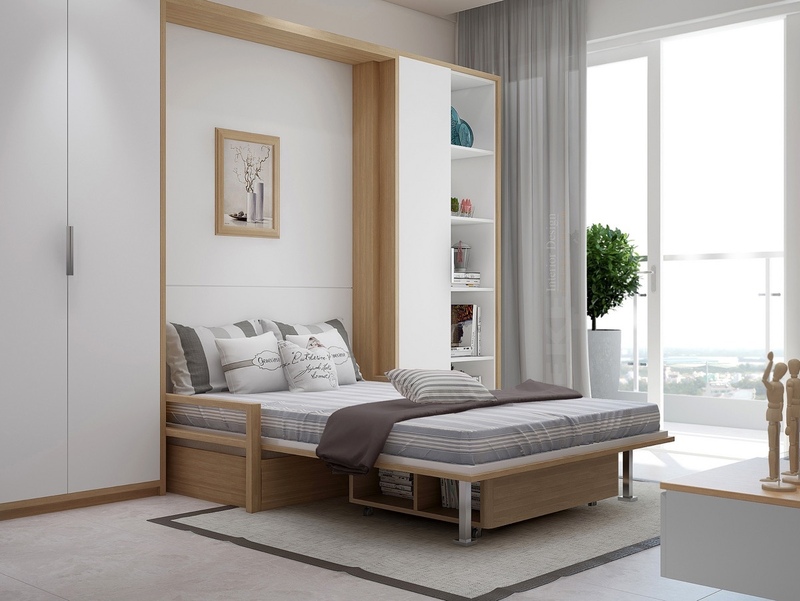 Storage beds offer a convenient place to stow extra linens or even clothing – and in the case of kids rooms, they’re a nice place to put toys or just about anything under the sun. 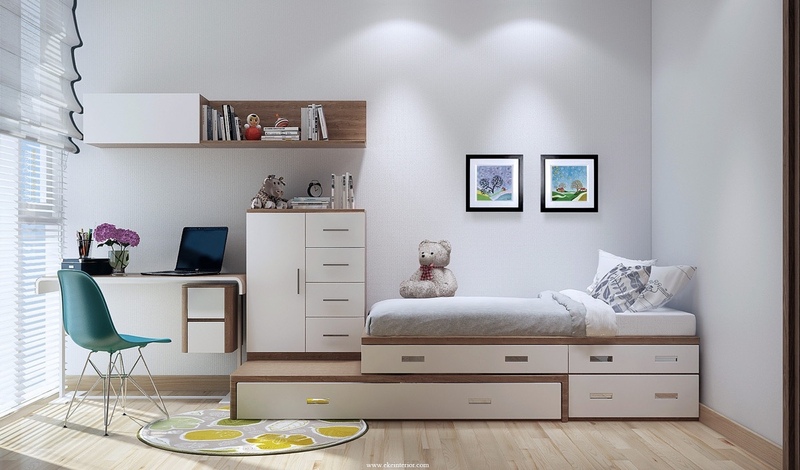 This youngster’s room encourages study with a bright desk in primary colors. 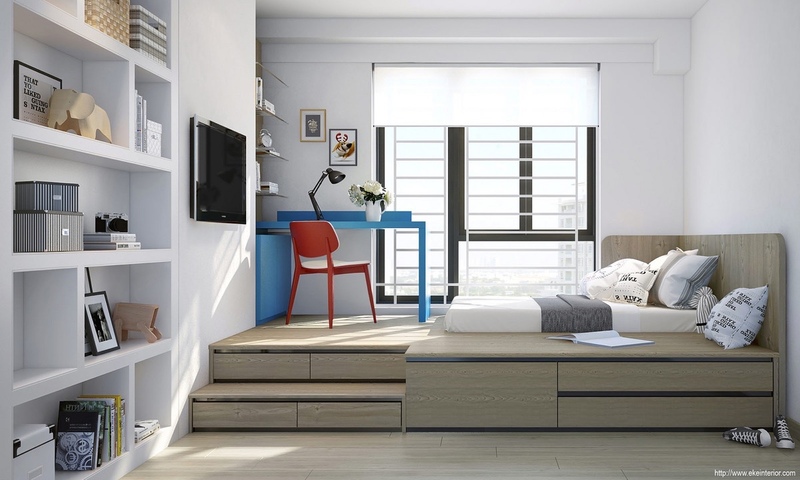 Drawers expand the functionality of the bed platform, raising the main bedroom area up to window-level. Trundle beds are a convenient way to save space when children start to have weekend sleepovers. The bright cerulean blue frame is extremely cute paired with the orange Eames chair. Just because kids may not have favorite designers or thread-count preferences doesn’t mean they can’t enjoy a stylish room! Philippe Starck’s famous Ghost Chair will grow more appreciated with time. Now let’s return to the world of grown-up bedrooms. 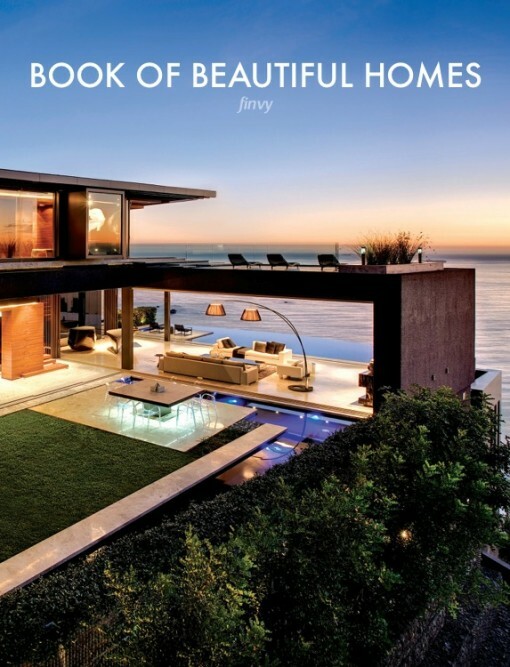 This mocha color theme is so well expressed you can almost taste it. Furniture remains classic with a subtle touch of Art Deco flavor. 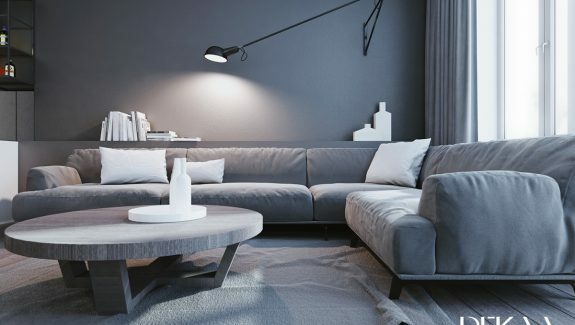 Matte black rooms can feel extremely relaxing when drifting to sleep each night, and can prolong sleep on those days you feel like catching up on some shut-eye. A side table and mechanical alarm clock keep things simple. The shade on the walls definitely deserves the name “mellow yellow”. Pale colors, vivid colors, desaturated colors – this palette explores the full spectrum. Library inspiration is always useful. This room clearly belongs to a reader, with handy shelves built-in to the wall right within reach of the bed. 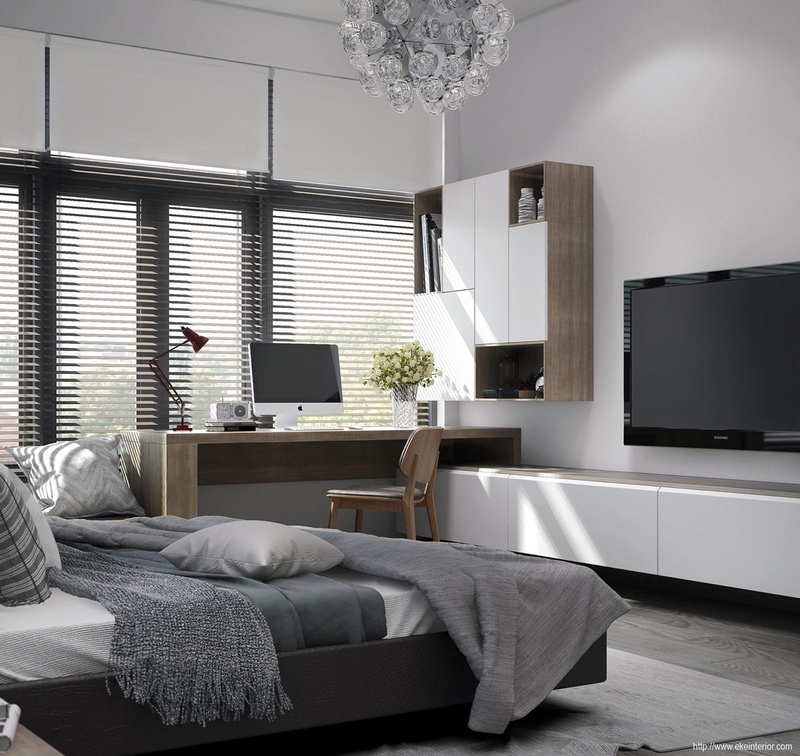 If you love minimalism, make sure to check out that bedframe too. In this bedroom, storage occupies the space behind the full-length mirror to the left and along the window to the right. You can even see an open drawer peeking out from beneath the bedframe.